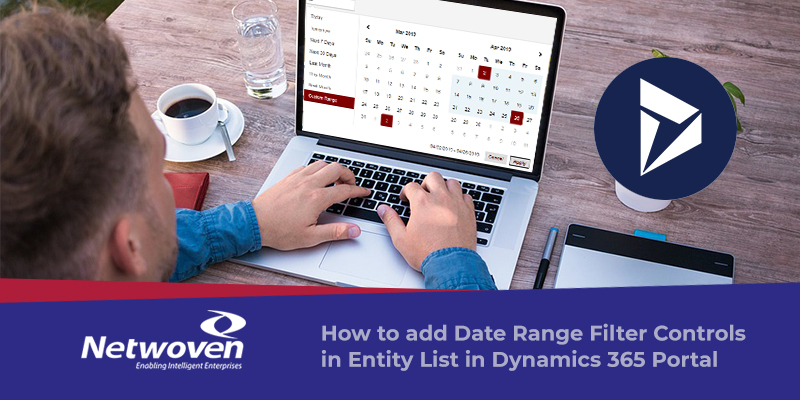 Many times, we do receive a requirement from the customer to show Date range filter controls in Entity List Page in Dynamics 365 Portal. The existing filter option will only accept a fixed value to be added in filter control and there is no OOB way to add date range filter in Entity List. But we can add Date Range Filter control as shown below using the below steps. In our example, we have used ‘RequestedShipDate’ field to get the Order Entity Details. P.S We need to define type as ‘dynamic’ so that portal will not perform any data transformation on filter options. The Fetch XML filter controls will be displayed as checkboxes in the Entity List Page as shown below. We need to change the ‘type’ as ‘text’ for the checkbox controls to set value for the Dates. 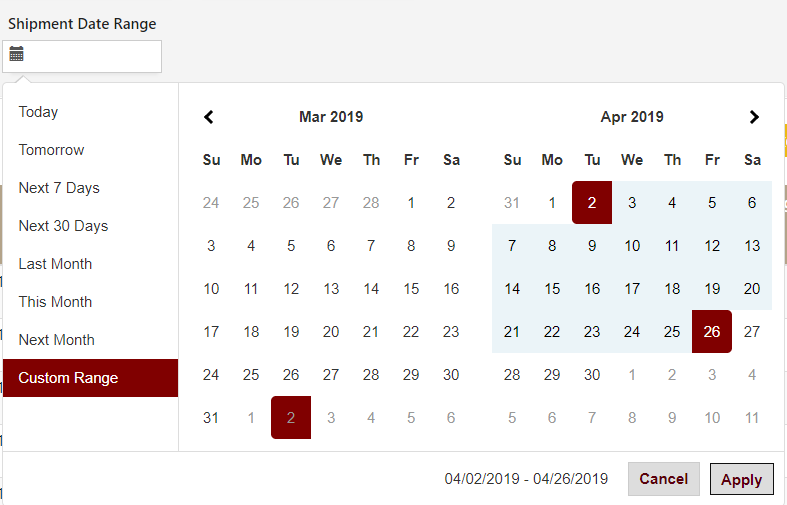 Step 3: Use Date Range Picker Control to select two different set of Dates. The Date Range Picker control will be displayed as shown below. 4) Set value for the Text box controls(‘Ship From Date’ and ‘Ship To Date’) on change of Date Range Filter control value.